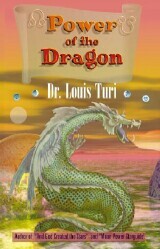 Dragon Explained / Universal Law of the Moon – Dr. Turi M.D.U.S. Sir Isaac Newton wrote “for every action, there is an equal and opposite reaction”. We are what we think, having become what we thought. This statement emphasizes that for every thought or action, there will be an effect. This is what I call the “Universal Law”, the cause and effect of the yin and yang recognized and accepted as the LAW OF KARMA. Modern Astrology classifies the Dragon”s Head and Tail as the South and North Nodes of the Moon. The Dragon in Chinese Astrology exact copy, is the symbol of Aries in the more popular version of Occidental Astrology. To my knowledge, the Moon is, just by herself, quite responsible for the daily fate of the world and directly affects the weather and nature”s forces at work. “Knowledge is power, ignorance is evil!” – Use the Universal Laws at your advantage! The scientific community is only aware of tremendous activity in the time of a Full Moon, but they have no clue of the endless information than can be used productively by society at large. My “Cyber Cosmic University” is designed to uncover the cosmic code, all the planets and the moon secrets and offer the curious readers the option to use the stars productively and wisely throughout the entire year. The police force and the hospital emergency rooms are also unusually active during these times. The Moon’ subtle power is not yet understood by the scientific community and often ridicule. Many years of tedious observations have shown me that she is undeniably affecting the human psyche and our emotional response to life. Without opposing forces at work (positive/negative), there would be no reaction, thus, no life possible on both the spiritual and physical planes. Our so-called “dead” satellite is very much alive, and vigilantly observing her whereabouts will make man grow steadfastly into a safer and more productive life! The North Node of the Moon is a positive energy, a form of “wheel of fortune”, pushing the soul toward a new self-realization, new opportunities, psychical growth and sure happiness. Chinese astrologers refer to the Moon”s Nodes as the Dragon”s Head and Tail and give them tremendous attention. The energy is coming from a mixture of the constellation of Draco bouncing back on the Moon then reflected on planet earth through the natal UCI. Sadly, modern astrologers tend to ignore its very existence and in the process, lose a wealth of valuable information. To my knowledge, the “Dragon” in itself, holds as much, if not more, facts and power than the entire complexity of a whole astrological chart! I found the essence of the Dragon”s secrets to be a major contribution for success or failure in one’s life and the inner character. Many famous and infamous people that have made history, for good or for worse, suffered or benefited drastically from both the Head and/or the Tail of the Dragon. Your awareness of the Dragon”s Head and Tail by house or sign, including the planets affecting your natal Dragon will become a major factor for your success or your failure in life. This information is a must to have so you will fly with the Head and stay clear from the Tail of the mighty Dragon. The South Node of the Moon is a negative energy that is a form of “karmic residue”, dragging the soul toward his past accomplishments, inner fears, and weaknesses. This build-up of previous incarnations must be eliminated or used constructively, then a chance is given to you by the “Great Designer” to experience new experiences and growth. As a rule, we are all naturally attracted to the Dragon”s Tail. This is similar to a child wanting to stay home instead of going to a new school, facing others children he do not know or afraid of and refuse to progress with the rest of the class. There, at home, (Tail), the soul feels secure and confident with what he knows best. In my research, I have noticed that following the Dragon”s Tail’s commands can only lead its owner toward failure, pain, drama even death. In some extreme cases, the Dragon”s Tail causes the soul to lead other people into its own dark past life residue, (David Koresh/Jones), thereby hurting the innocent, trusting souls who follow them. Sometimes, for specific karmic reasons, the Dragon”s Tail can be used positively, thus has produced gifted classical musicians such as Bach, Beethoven and Schubert. Here, the soul”s past life musical work comes to fruition for others to enjoy or learn from. God has allowed these “geniuses” to use their previous life”s work for the benefit of mankind, and they were able to accomplish wonders at an early age. The location of the Dragon”s Tail is where all of your weaknesses will be coming from and trap you into fears. You have been there, you have done that and you have already learned those lessons. God will not help you there and if not aware of the Dragon”s Head and its promising opportunities, you will end up striving either for financial or emotional security. Sometimes, unexpected dramatic experiences or the use of chemicals (drugs/alcohol/medications) will cause the soul to be drawn right back into his past life residue. The purification and progress of the soul can only be found on through your “next” experiences promised by the location of his Dragon’s Head by house and sign of the zodiac. Every day man sees the procession of stars across the vault of the sky; they have followed the same path through the heavens, tracing the immutability of the cosmos and its constellations, which have spoken to the wise men since the beginning of time. Sir Isaac Newton wrote “for every action there is an equal and opposite reaction.” We are what we think, having become what we thought. This statement emphasizes that for every thought or action there will be an effect. This is what I call the “Universal Law,” the causes and effects of the yin and yang recognized as the law of KARMA. The Moon is, by herself quite responsible for much of our and the world”s fate. By the tracking of the Universal Law and using Starguide, you will be allowed to see this lunar impact and reaction every day of your life. Obviously, the waxing and waning periods of our closest satellite will produce the daily process of tides. Thusly, women will have a spiritual and physical manifestation (menstruation), and all of us will be responding subconsciously to the words “lunatic/moody.” Without opposite forces at work there would be no reaction thus any life possible on both the spiritual and physical plane. To my knowledge, our so-called “dead” satellite is very much alive, and much more than a rock hanging above our heads. She is a vital part of a Divine celestial design; she is the beating heart of the earth. Vigilantly observing her whereabouts will aid understanding the real psychology of man. I always said, The Moon is a little more than a dead rock hanging above our head just for the sake of beauty. I just hope that, in the future, the psychology field would also invest a little more and do some research on the subtle forces generated by the moon and how, her passage through the Zodiac really affects the human psyche. For instance, a soul born with a feminine moon in a water sign such as Pisces will be extremely susceptible to the moon fluctuations. Especially if the soul inherited a negative moon sitting right on the Dragons Tail and is not aware of it. Or in some case the moon is badly aspected by Saturn, the Lord of depression. Now; the unaware psychiatrist or psychologist does not know about the 28 days cycle of the moon and its direct impact on his patients psyche. Hence, he or she will be classify as a manic depressive disorder and comes once a month (victimized by the waning moon) in need of more destructive anti depressants. Chances are Neptune now hooks the soul and will soon become addicted to the prescription drug. Thus the oblivious doctor will use the manic depressive and empower the powerful and expansive insurance and drug industry. In the name of ignorance, slowly but surely the patient loses herself in the quick sands of Neptune while the doctor, the insurance and the pharmaceutical industry benefits. This is happening now to millions of children and yours could be the next victim unless we stop this nightmare soon. The Changing face of the Moon was revered and understood by the ancients as an aspect of the feminine and idolized as the Lady of the Night who ruled over fertility and magic. Your awareness of the Moon”s passage through the Zodiac will enable you to discover a basic structure of energy patterns that underlies the changes and circumstances of your life. This is, indeed, the purpose of a good astrologer, and his main objective is to reveal an order or meaning beneath or within what often appears to be a random or chaotic situation. The Moon”s passage through the housing system is one expression of the archetypal structure we call a cycle. While many of the formally educated scientists have lost their cosmic consciousness, it has still remained hidden within astrological values and basic astrological foundations. BY visiting my site www/drturi.com and read both your free daily or monthly forecast you will soon find the incredible values of predictive astrology when practiced properly. All of the signs of the Zodiac, the twelve houses, and the numerous astrological aspects are based upon God”s higher order in the established, interstellar cycle. Their subtle meanings are derived from a particular place or function to each other, and all operate within the ordered cycle as a whole. Our lives unfold according to our specific cyclic pattern, interacting with the Universal cycle. Discerning the Universal Mind at work is difficult; those gifted at birth will naturally understand the cosmic mind, using their inborn, intuition and objective mental tools. However, when properly educated, anyone can learn to further his cosmic consciousness and realize his close relationship with God and the Universe. It often starts with a willingness to expand the consciousness, and the simple realization that what cannot be seen or touched doesn”t mean it is non-existent. That”s what makes a real scientist and a true intelligent person is respecting the essence of the word investigation! Sadly enough, the majority of these educated souls fears the ridicule and may also take the risk of experiencing abandonment by their peers or churches. Those methodical scholars will never be able to penetrate the spiritual domain of the stars in my research. Those scholastically oriented souls are plagued at birth with a limited view and conception of the unknown. Usually a weak planet Mercury (the mind), a phlegmatic Uranus (inquiry) in an unassuming earth sign (rationale) becomes the logical reason for the inability to reach a higher level of understanding. The mind resembles a nutshell that inherited a common astrological formation and deprives the soul to experience a highly cosmic reality. To them, the moon is nothing else than a dead satellite orbiting around the earth with no more purpose than to produce the daily tides. The obvious structure of the Moon’s cycle is derived from the fact that it consists of a beginning, middle and an end. Thus, the monthly lunar cycle suggests by observation that it is divided into two halves. During the first half, the movement is outward, as our close satellite travels away from the area of space occupied by the Sun. As this happens, the powerful light of the Sun increases, “waxing” (positive) on the white face of the Moon. The turning point is symbolized by the Full Moon; it reverses motion. The Moon begins to approach the Sun as the reflected light on its surface “wanes” (negative), until they meet again at the New Moon (new start). Halfway between the New Moon and the Full Moon, we notice another important division point where light and darkness are equal on the moon”s surface. At the first waxing quarter, the light is increasing, while at the last waning quarter, it is decreasing. These simple astronomical observations can only provide the rational scientist’s mind with knowledge for interpreting the physical lunar cycle”s phase. Now if the positive cannot be without the negative, and knowing that it takes two for anything to be, then the scientist should be able to “investigate” the intuitional domain. There is so much behind this “lunar manifestation,” I began to feed my own critical observations. Being so close to the earth, the Moon”s magnetic pull (gravitational force) is so great, that she is solely responsible for the daily process of the tides. Therefore, curiosity, observation and comparison became the key elements to promote my cosmic consciousness. As I met her, becoming full and new, month after month, I slowly began to understand her powers. By constantly watching my environment, friends and family members, she began to speak about her clearly visible impact and astute control over man”s psyche. As the years went by, I realized her uncompromising role over the sea, and I became more aware of her powerful impact on our daily affairs. I made notes day after day, week after week and month after month, realizing the consequences of ignoring or adapting to her passage through the twelve signs of the Zodiac. Later on, I learned that the farmers of the past followed her fluctuations for the betterment of their crops. Then I carefully put my observations to test in my life and the lives of those around me. I did not take long to realize that by respecting the Universal Law, my life became much more productive. Her positive and negative effect on man”s emotions, actions and reactions became so obvious to me that I decided to make a full-time job telling others about her. As I watched the news in times of a full Moon, I understood why people became destructive, “lunatic,” eccentric, moody and psychopathic. I then named it the Uncompromising Universal Law. Since then, as a professional Divine Astrologer, wherever I am needed, I am teaching the value of this simple and valuable knowledge. When you first learned how to drive a car, you were carefully introduced to the rules of the road. You learned that you must stop at a red light or follow a road sign, as your very life depends on your doing so. These are the codes that you have learned, and they must be respected anywhere you happen to be in the world. Following established rules will take you safely wherever you have to go. Sadly enough, too many people do not respect these rules, and innocent people have died accidentally. Awareness, knowledge and respect of these rules are desperately needed. However, the spiritual rules established by God, written in the constellations, have been misplaced. Only a minority is aware of the impact produced by the moon, and the rest, the majority of us are completely ignorant of these Divine rules. The result is seen during a Full Moon and each time the moon is crossing a destructive sign. This lack of awareness turns into a formidable chaos, producing despair, drug addiction, depression, violence, criminal behavior . . . and the list goes on and on. Know that ignoring either the physical or spiritual rules will lead any one of us to pay a heavy penalty. So-called “holy wars” have plagued man all through the ages. Ignorance and fear cast aside the real Universal message. To my mind, the millions of deaths produced by continuous religious wars all around the world were a good example of the destructive power of fanaticism. I realized that everyone”s relationship to God or many gods was deeply personal and that no two people feel the same way about it. My great mother taught me that God is love, beauty, education, responsibility and knowledge, a belief I have steadfastly clung to. I have noticed the dualistic nature of life, man/woman, front/back, up/down, black/white, yin/yang, positive/negative, the ultimate law of opposition. I soon began to realize that nothing would exist without its counterpart, and this Law of opposition was much too obvious to be challenged or ignored. I began to wonder if God would be without the Devil. One month is made up of two two-week periods, one year of two six-month periods. From the New Moon (black dot on your calendar) to the Full moon (a circle on your calendar), the light is green. Those two weeks are called “the waxing time.” Then when you see her full, white and round, the light is amber. Those two weeks are called “the waning time.” As she starts her positive waxing time, you should plant your seeds for life. Go out, meet new people, socialize, get engaged, get married, buy a new car, go shopping, sign important contracts, travel, visit family members and generally promote all you can during this positive trend. My Moon Power Starguide has all the New and Full Moons available for entire year. Also, Starguide tells you when and in what sign the New Moon or the Full Moon will mature. You can use this knowledge to master the outcomes of all your endeavors. Initiate ideas or projects as she climbs happily in the heavens. Then when she finally becomes full, be aware of the approaching “yellow light,” as these signals shows a time to slow down and reflect. Use your will to fight depression, clean your house, prepare your next move, write letters but don”t send them just yet. Observe and listen to all the people around you. Many will suffer the waning Moon”s power and will become negative, moody and lunatic. Watch the news and see for yourself the dramatic differences in the two periods. However, good things can happen then. This means, officially, that somehow you started “that” situation during her waxing, positive time, and you are now being paid off. Bad things can also happen to you when the Moon is supposedly positive. It might only be a tap on your hand, compared to what you could really experience for yourself in the future. Keep in mind that you have been going through your life not knowing not using the Universal Law. You did not interact with the Moon”s fluctuations (the gearbox of our system) and many gears (your experiences) have broken down. Apply your knowledge right away and take the time to invest in your understanding of Astrology (the dynamics of our Universe). The Universal Clock also commands women’s menstruations, and both the Moon and women share the same twenty-eight-day time period. Work non-stop around the Moon’s passage throughout every sign of the Zodiac, and then her deepest secrets will be yours. As she travels through the belt of the Zodiac, she will be residing between two and three days in one sign, she will melt your emotions with the energies (positive or negative) found in that specific astrological sign. Never forget that an ultimate higher order has been established, and the essence of our emotional life is within. Learning and adapting to the Moon”s power will help you to understand what it really means to be human. This lunar consciousness will lead you towards the understanding of your own strengths, and the ability to use them to further your life, while minimizing your weakness day by day! Some people often tell me, “But Dr. Turi, I cannot leave my life this way. New Moon or Full Moon, I have business to take care of!” Well, I understand the dilemma, but to me it sounds like, “Dr. Turi, the light is red, my car is stopped at the light, but I can’t stand still any longer here because I am going to be late for my appointment.” Go ahead! You see, you came and asked me for spiritual rules; I gave them to you, now you have to deal with them. You took the chance and were curious enough to “ask”; now that you receive the “discipline,” it’s pretty much up to you to heed them or not. The world is not necessarily ready, willing and unenlightened pertaining to this “lunar” code, you are! The idea is to plan well ahead of time and synchronize with the universal law to plan all your important endeavors. It is as simple as that. Since the dawn of time, the Creator has shown his truth to the humble, a truth that is hidden from the vain blinded by worldly pleasures, but which is written in the skies, which nightly speaks of the glory of God.